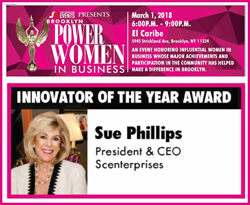 Sue Phillips to be awarded Innovator of the Year at the Power Women in Business Event. This annual celebration honors some of the most influential and notable female individuals in business, honoring them for their continued success and achievements. Phillips has extensive experience consulting with brands, helping them create their own perfumes, and has worked for leading fragrance companies, holding executive positions at Elizabeth Arden, Lancôme Paris, and Tiffany & Co. As Vice President of Tiffany & Co, she created “Tiffany,” and “Tiffany for Men,” and as General Manager for Royal Brands she created “Society” by Burberry, and “Burberry for Men” fragrances. Sue also developed the original three eponymous Trish McEvoy fragrances, and has developed brands for Avon, Diane Von Furstenberg, Lancaster and many other fragrance initiatives. She has appeared on HSN and TV discussing fragrance trends, and is a leading fragrance expert and adjunct Professor at LIM College. Sue has worked with researchers and Professor Rudy Tanzi at Harvard Medical School on the role of scent in memory, attraction, and emotions in individuals. 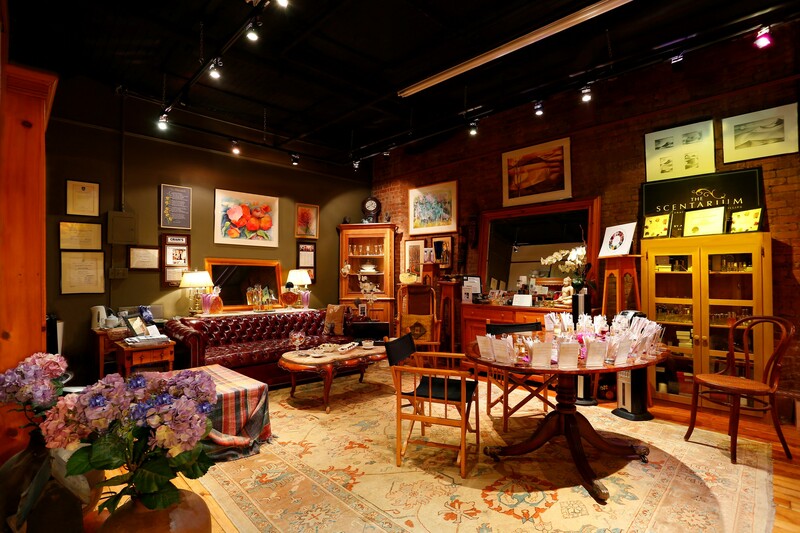 Sue Phillips opened The Scentarium in TriBeCa in 2014 - a luxurious jewel-box perfumery and an ‘oasis’ in the heart of the city, where you can create your own personalized scent. Sue walks you through the entire perfume-making process, from taking her olfactory personality quiz to guiding you on a ‘fragrance journey’ to discover original and exquisite scents to help you create the perfect “bespoke” fragrance for you. Ideal for men and women.